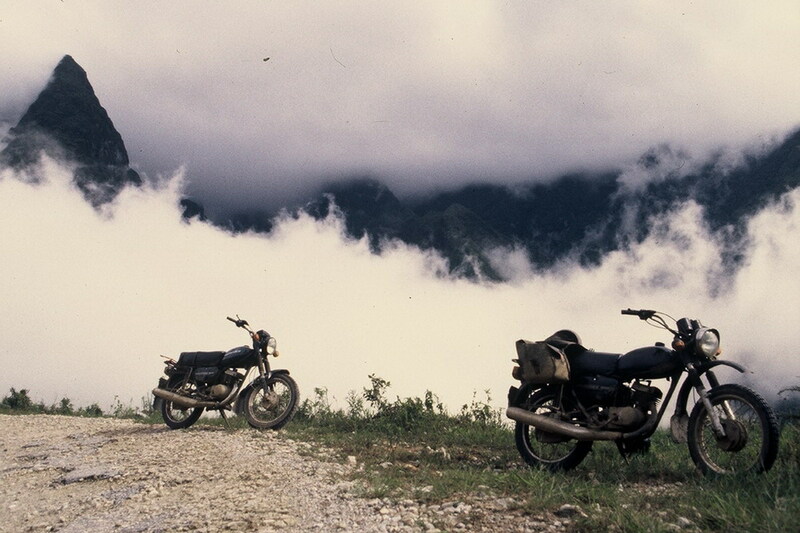 A motorbike tour in Vietnam is a fantastic experience, and head-and-shoulders above any other form of travel. 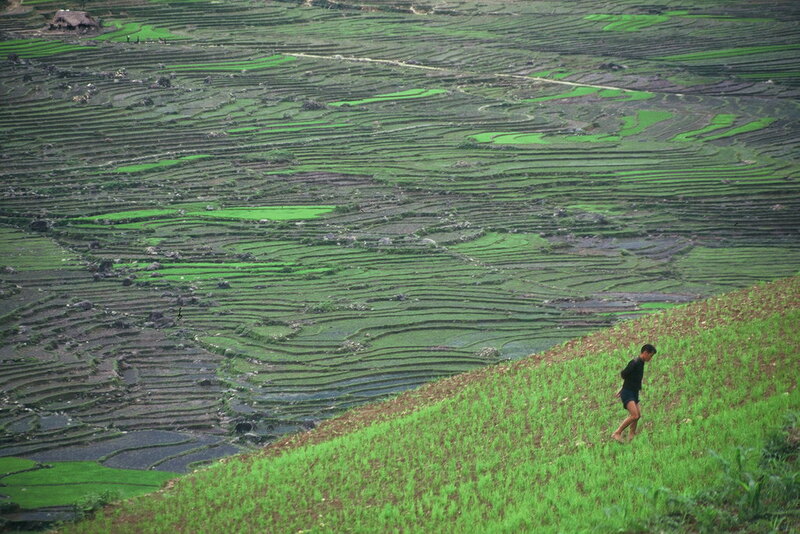 Vietnam’s northern mountains offer thousands of kilometers of narrow, winding roads through spectacular scenery and colorful hill tribe villages that have seen very few Western tourists. Every bend in the road opens up a different view and a new experience. While the motorbike is an essential part of any adventure and the means by which all facets of the tour are brought together, it is more than just about being on two wheels. Our adventure tours are about the people, the scenery, the markets, the culture, the food and drink, witnessing the traditional way of life in Vietnam and becoming a part of it. 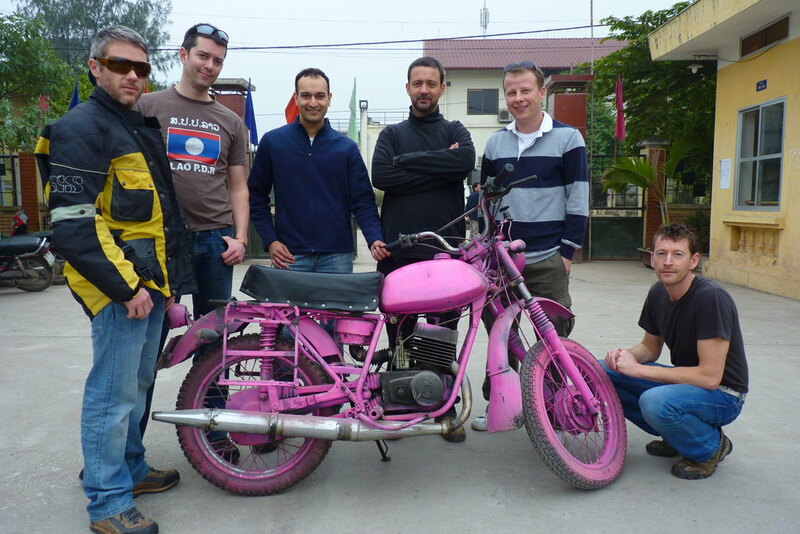 We have organized hundreds and hundreds of motorbike tours in Vietnam and our team of mechanics is second to none. Our responsible guides make sure you will be able to experience a flexible tour, with plenty of options and opportunities to go where no one else has been to before in Vietnam. Just watch this drone video and you will want to tour Vietnam by motorbike! Apart from our greater experience, use of charismatic ex-Soviet motorbikes and higher level of service, what really distinguishes us from other bike operators here is the flexibility we afford ride participants on each tour. We never tour set routes, preferring instead to remain flexible as the tour progresses, and even pushing brand new trails if the tour group so wishes. We have been running motorbike tours here for years and years, and that is an extremely important factor to bear in mind if you’re tempted by a cheaper tour operators with little real knowledge of this business. Safety is paramount in Vietnam, and extensive experience and knowledge is the crux of the service we offer, culminating in a product that is unique, exciting and adventurous. 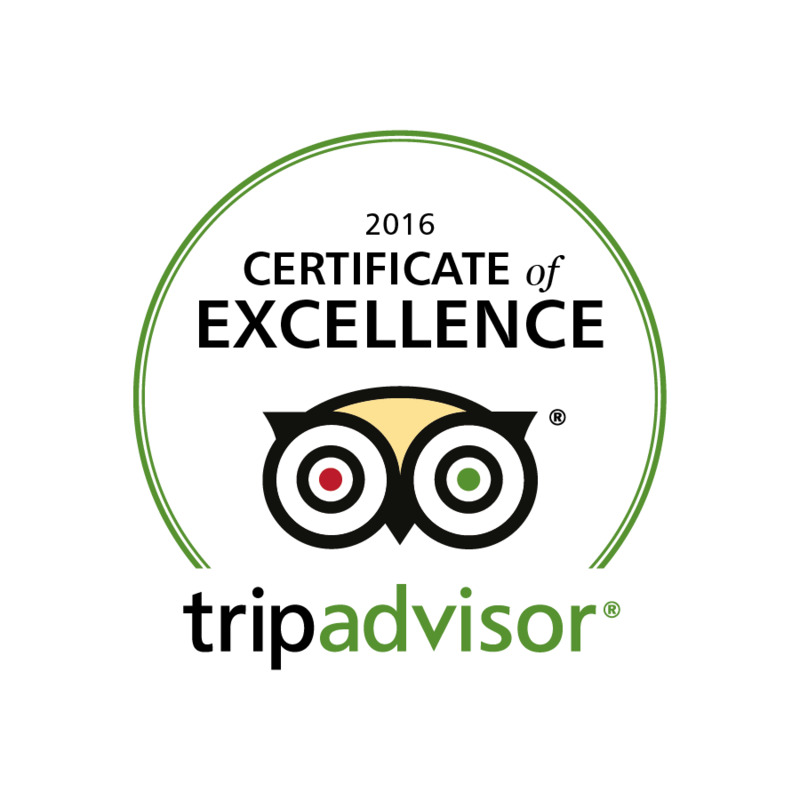 We understand what foreign nationals want and we make sure they get it while on a motorbike tour in Vietnam. 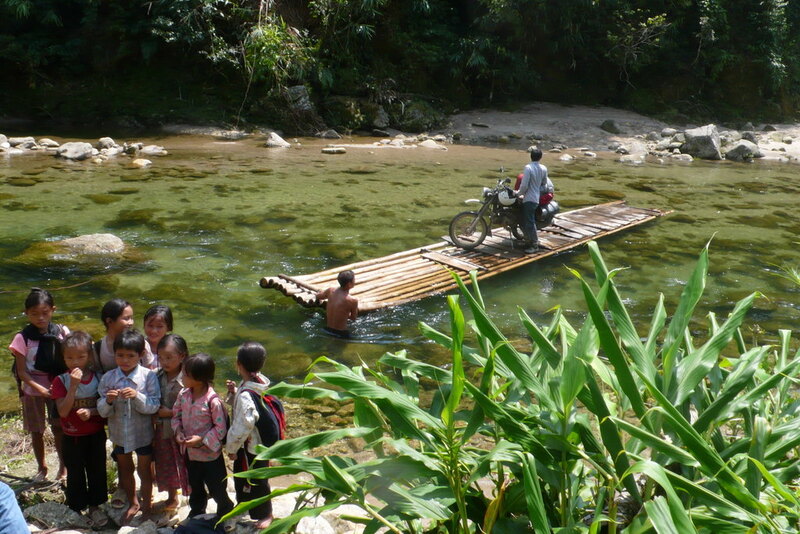 You will enjoy a unique insight in how life moves along deep in Vietnam’s remote mountains and have a chance to experience the warmth of the people who still live according to traditional values unfettered by modern complications. This is why we have been involved in no less than eight major TV productions that involved famous people touring on our motorbikes in Vietnam. We had a lot of fun with the BBC “Top Gear Vietnam Special” where we were in charge of the motorbikes, constructed the boats that carried Jeremy Clarkson, Richard Hammond and James May out into Ha Long Bay and carried the camera and sound men on the backs of our Ural motorbikes. Charley Boorman rode a Minsk motorbike for the show “By Any Means” and later, he took a tour on a Ural motorbike for a show called “Freedom Riders Asia”. Gordon Ramsay rode one of our Ural motorbikes when he took a tour out into the countryside for a show called “Gordon’s Great Escape”. We guided a TV show with Sue Perkins and Liza Tarbuck called “The World’s Most Dangerous Roads” that followed the Ho Chi Minh Trail. We modified our Minsk and Ural motorbikes so that three handicap people from the UK could ride our motorbikes for a BBC show called “Without Limits”. We also co-organize the largest annual motorbike charity tour in Vietnam, Rally Indochina, which has raised over a quarter of a million dollars for the Blue Dragon Children's Foundation, an organization that works with underprivileged children in Vietnam.